ONLINE EXCLUSIVE! The Smok Stick X8 is a chunkier version of a pen style vape device. Coming with a powerful battery capacity of 3000mAh, this battery is capable of great performance and decent vapour production for longer periods between charging. The Smok Stick X8 is great for vapers who like a chunky device without going as far as a large and often complicated mod. As with other Smok devices, it comes with a metallic finish that stands out in your hand, especially in the multi-colour rainbow version! This is complemented by the LED light that circles round the fire button and flashes when you vape. The Smok Stick X8 is also ideal for vapers who want an easy to use device that is still capable of chucking out the clouds. There’s no complicated controls with this device - simply a single fire button and an easy to use top-fill tank. Coil resistance is one of the key components of clouds, and the included 0.25 ohm is perfect for producing large clouds of vapour. 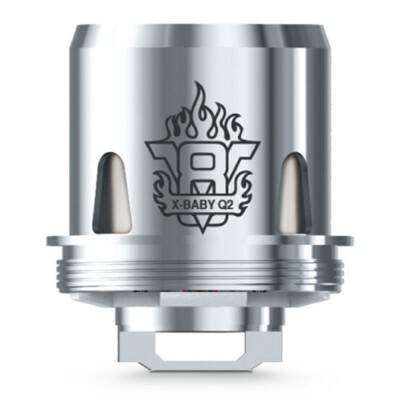 Top airflow and a wide bore delrin drip tip provide plenty of airflow capacity to handle the vapour, while the stainless steel material is great for flavour. 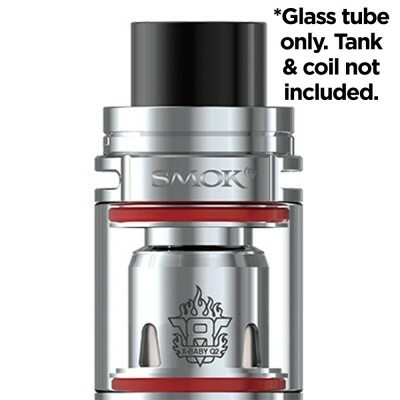 The Smok Stick X8 comes with a gold plated 510 connector that means it can work with any 510 tank, although this kit also comes with an included Smok X Baby Tank. There’s really not too much to learn with the Smok Stick X8 - fill the tank, press the button and away you go. You can also adjust the airflow by twisting the control at the top of the tank - open wide for an airy vape, or close it off for a tight draw. When the light blinks 15 times, it’s time to put it on charge. But as with all coils, and especially low resistance coils like this one, it is important to prime the coil before usage. Simply drip a little e-liquid into the coil ports and down the center tube before use, and after filling the tank allow the e-liquid to soak into the coil and cotton for a few minutes before using it for the first time.